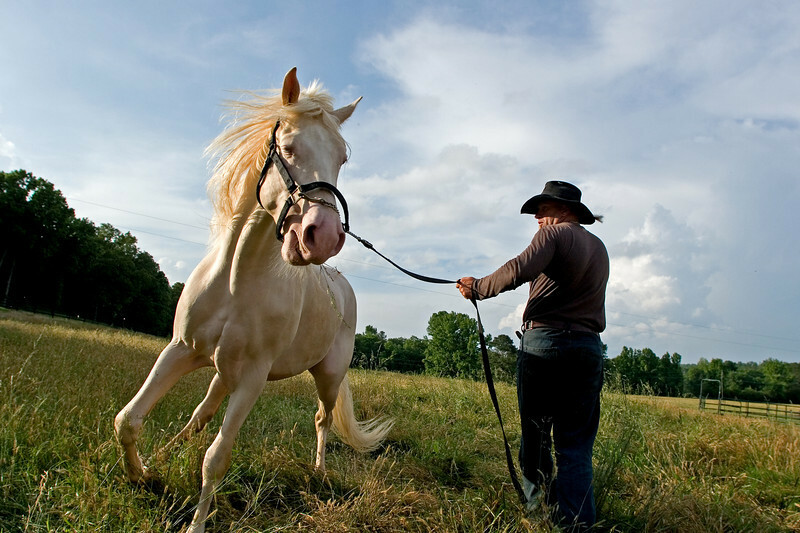 Joe Guy works with a problematic horse at the Fikes' ranch in Hamilton, Ala. Sunday, May 24, 2009. The stallion had turned antisocial and violent after spending 6 years inside a booth and seeing the daylight only when he was taken out to mate. Guy will fix him in less than a week.